Contractors unearthed historical artifacts while working on Birmingham, Ala.'s $7 million Old Woodward reconstruction project, which when finished, will replace the city's underground infrastructure and enhance the above-ground streetscape. The artifacts range in age from about 76 years old to about 128 years old. an interurban rail spike, found in the middle of Old Woodward, south of Maple. The spike was used to hold wooden ties in place for the rail line of the Detroit Urban Railway, an interurban/streetcar line in use from the 1890s until the late 1920s between Detroit and Flint. The line ran directly up the middle of Old Woodward (previously called Saginaw for the earlier Saginaw Trail) in Birmingham. When the line was first constructed, Old Woodward was a dirt street. These were removed when the road was paved in the late 1920s and early 1930s, reported Hometown Life. 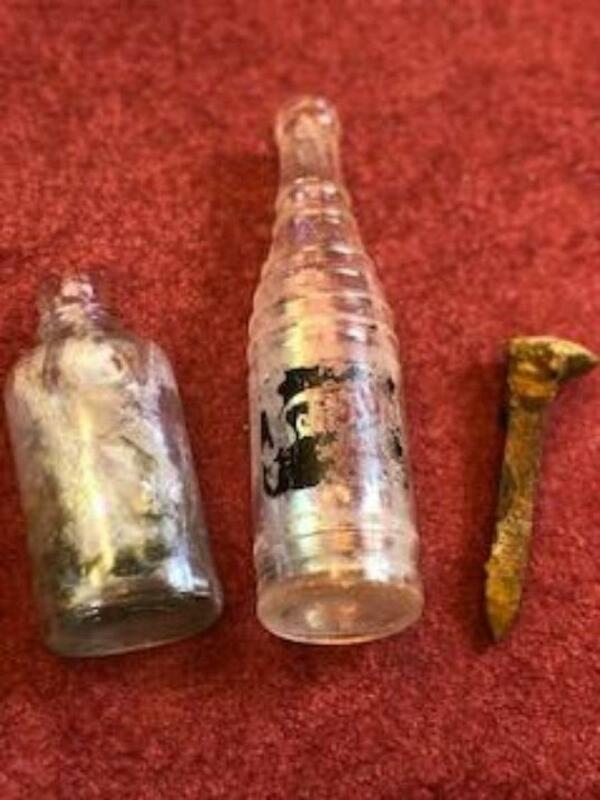 an unknown beverage or utilitarian bottle, circa 1890-1920, which was found at the southeast corner of Old Woodward and Maple. Its features that suggest it was used for drinking out of, with a wide mouth and screw top, possibly for a locally bottled beverage (but it is not a standard alcohol or flask bottle). a Nesbitt's Soda bottle, circa 1942-52, found outside the Birmingham Theater. Nesbitt's Soda was bottled in Los Angeles, Calif., and is still available today. The label is fairly clear and shows the Nesbitt's design used from 1942-52. Old Woodward was paved by then, so how the bottle got under the pavement is intriguing, reported Hometown Life. The artifacts will be displayed at the Birmingham Museum in downtown Birmingham.